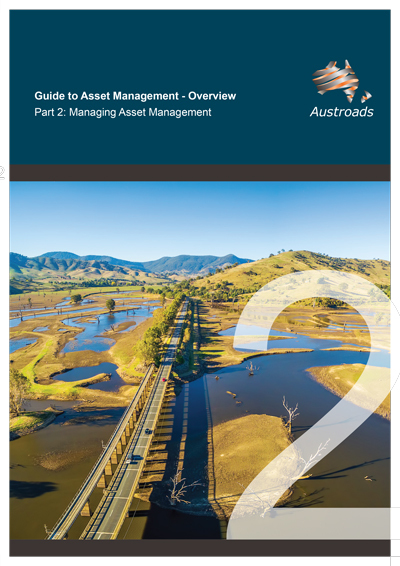 Part 2 of the Guide to Asset Management describes the ‘management of asset management’, an important topic for senior managers, leaders and influencers of organisational culture. Governance of asset management should be a joint responsibility of senior management and the corporate governance levels of the road agency. The two Parts comprising the management overview aim to raise awareness among senior executives about the wider role that asset management plays within the agency, how organisational performance can be improved and better outcomes, in terms of cost and service to the public. 2.2.1 What is organisational culture? 4.1.1 What is ISO 55001? 4.3 What Should the Asset Management System Contain? 4.4 Progressing Towards ISO 55001 – Alignment or Certification?